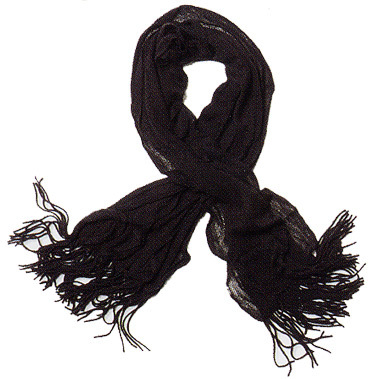 Scarf Collection We have a great selection of scarves in the store. Some to keep you warm, some for a fashion accessory. Beautiful patterns and textures to suit every need. Five tiers of soft sweater knit with fringed ends. 84" x 14"
Soft acyllic knit with shirred panels. Super wide to wrap yourself for the cold days, Fringed ends. Amazing scarf opens on both ends so you can create a hood or a shrug. 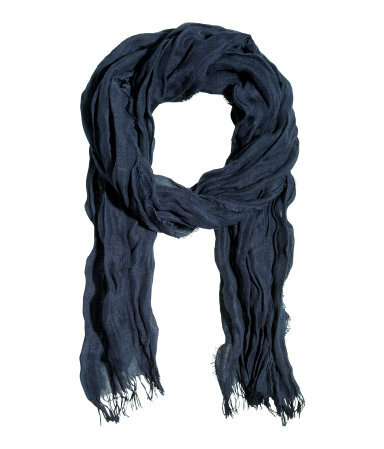 100% Viscose Scarf with twisted knotted fringe. Approximately 68" long.